Clari has integrated its Predictive Sales Management platform with LinkedIn Sales Navigator, providing direct access to account and contact profiles in the buying group reps are engaging with. Through this integration*, reps get timely insights that can help them penetrate and sell into their key accounts, right in Clari where they update their deals, manage their pipeline and call their number. "I love the fact that while managing accounts and opportunities in Clari I can quickly access my LinkedIn network and accelerate prospecting cycles without leaving my workspace." Recommended leads: Key individuals at the company that the rep should reach out to. Connections: All current connections at the company that might help get into the account. 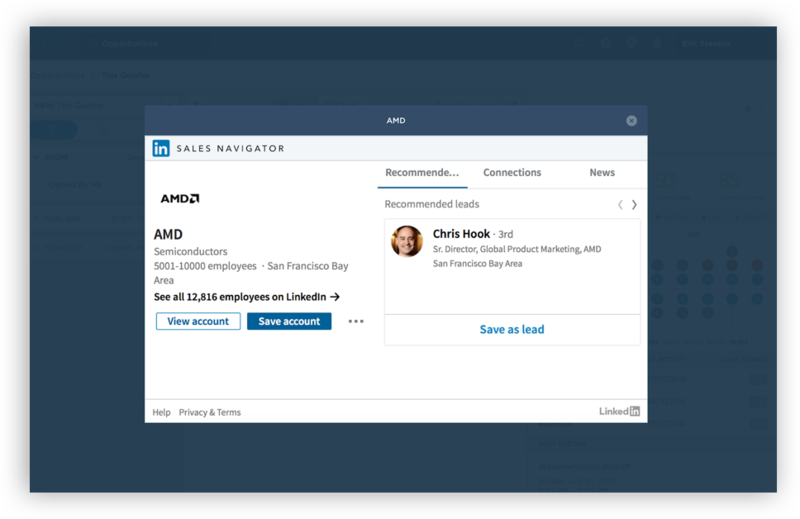 News: Company news and recent employee LinkedIn posts to provide intel and context to every sales connection. Right in our Team Activity and Opportunities modules, as reps and managers track sales activity against target accounts, they can easily get contextual and relevant information about the account that can shape their penetration strategy and drive better results. To access Sales Navigator from within your Clari account, all you need to do is log into your LinkedIn account with Sales Navigator subscription in the same browser window. Not a customer of Sales Navigator? 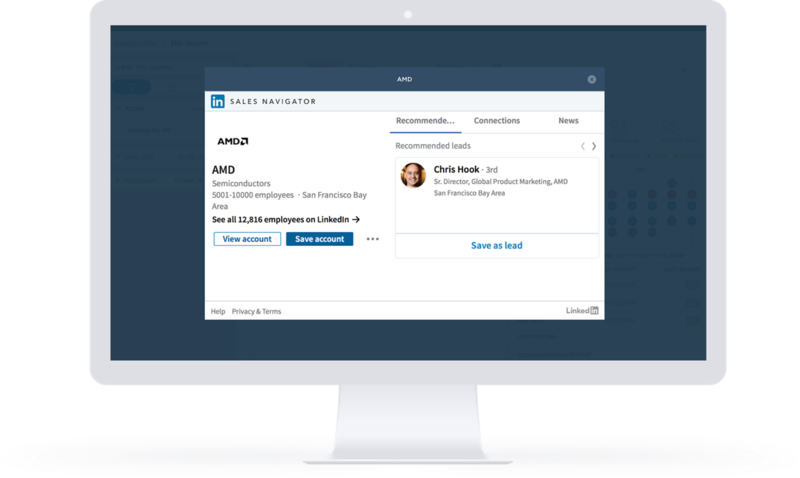 Ready to see the value of Clari + LinkedIn Sales Navigator in action?